Oil prices will slump to $40 a barrel unless OPEC and its allies cut output significantly, and the group is unlikely to succeed in reviving the market, an Iranian official said. Production will need to be reduced by at least 1.4 million barrels a day to prevent oversupply, Iranian OPEC Governor Hossein Kazempour Ardebili said in an interview. While the Islamic Republic itself won’t participate in any cuts while U.S. sanctions on its exports remain in place, Kazempour said the group may be unable to reach an agreement to curb supply when it meets in Vienna later this week. The comments show the divisions within OPEC as it seeks consensus on next year’s supply policy, with crude having slumped into a bear market last month. While Saudi Arabian Crown Prince Mohammed bin Salman agreed with Russian President Vladimir Putin to continue managing the market, Qatar in a surprise move on Monday said it will exit the producers’ cartel in 2019, threatening its cohesion. OPEC decisions need to be unanimous to be implemented. “I don’t think they are thinking to have a cut — they may want to have excuses, or have a proposal on the table that is not grabbed by others, and say ‘OK, I told you so’,” Kazempour said. Iran, a founding member of OPEC, has been forced to cut production from 3.8 million barrels a day earlier this year to about 3 million last month as U.S. sanctions on its exports kicked in and buyers stayed away. Though President Donald Trump’s threat to send the nation’s shipments to zero proved to be bluster as he allowed some importers to continue buying, those waivers allow only restricted purchases and apply for a limited time. Oil’s slump of the past two months has only added to problems for not just Iran, but the entire group known as OPEC+. Current Brent crude prices near $61 a barrel are below what most of the producers require to balance their national budgets. Trump has also been putting pressure on the cartel to drive prices even lower. The Saudis and Russia have tried to tackle slumping prices by agreeing to extend their pact to manage the market. They however didn’t confirm any new supply cuts and officials from the two nations are said to have been unable to reach an agreement over the weekend at meetings in Moscow. 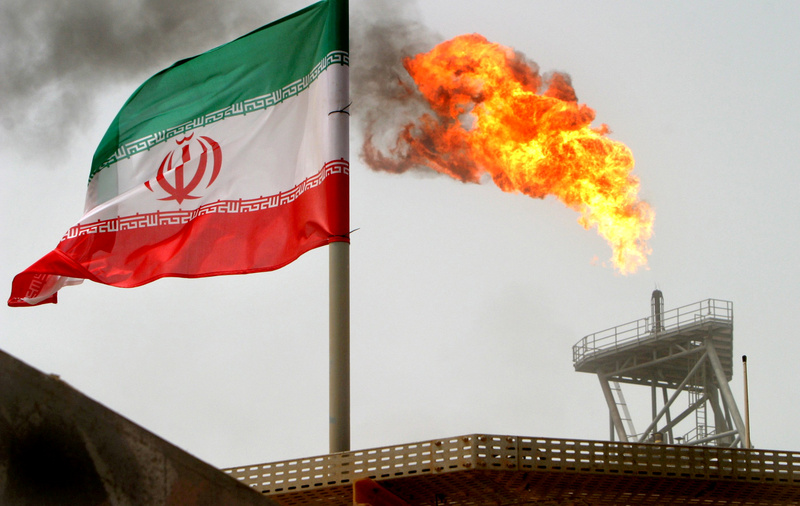 Iran’s Kazempour doubts OPEC+ will eventually agree to extend the pact. Nations which have “put the barrels into the market in the last three months should cut it back,” he said. Having succeeding in erasing bloated stockpiles and reviving prices with supply cuts since 2017, OPEC and allies agreed in June to reverse course and raise output. Since then Saudi Arabia has boosted production to record levels and Russia has also pumped more. Oversupply concerns have re-emerged, and combined with demand worries oil prices have been driven down almost 30 percent since early October. He also raised the prospect that OPEC, which has held together for more than half a century through war, sanctions and price slumps, may break apart. “There is a sense of frustration prevailing, especially among small producers not at the level of Qatar,” because oil’s slump and the lost revenue gives them a reason to leave, Kazempour said.